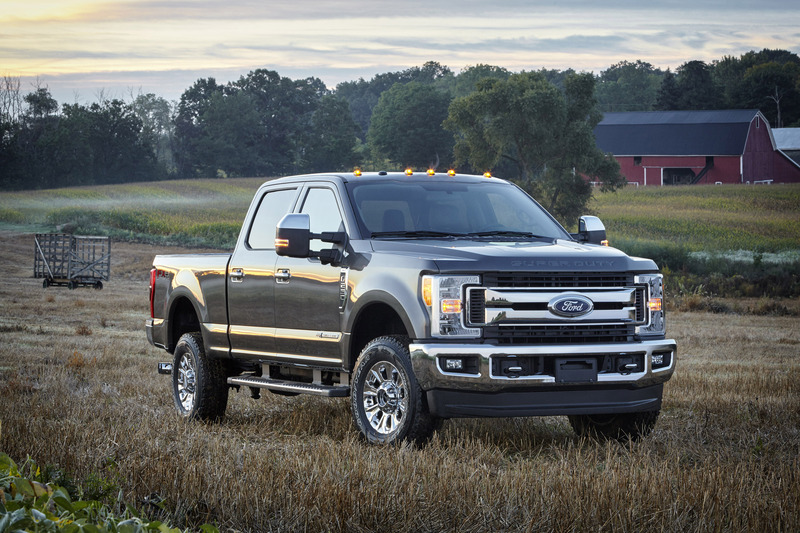 Ford, America's truck leader, introduced the all-new 2017 Ford F-Series Super Duty - the toughest, smartest, most capable Super Duty truck lineup ever. 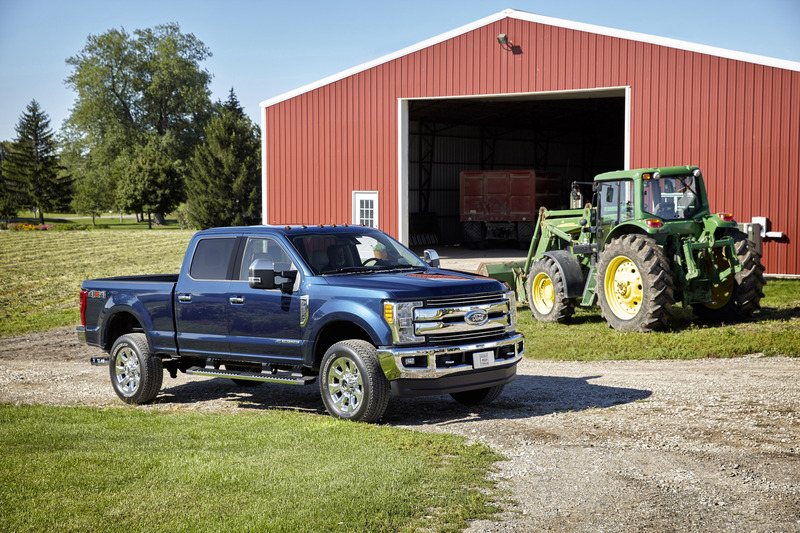 "Ford Super Duty is the truck America's hardest-working men and women trust and depend on," said Joe Hinrichs, Ford president, The Americas. 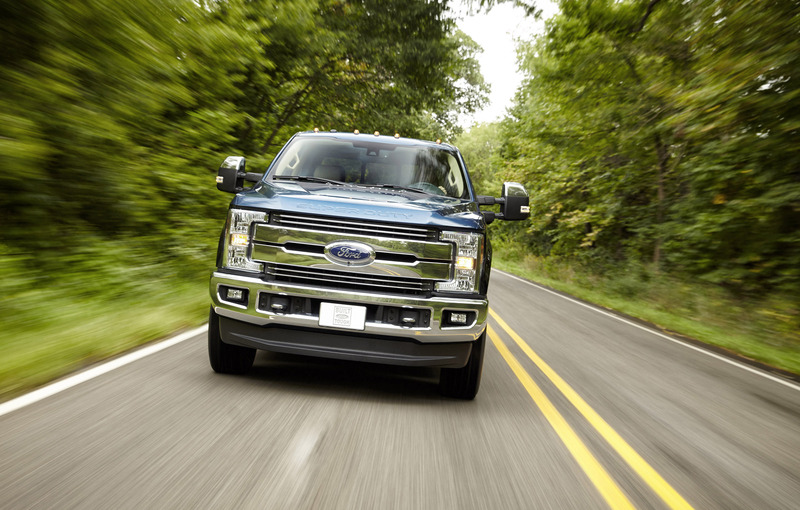 "We are helping these customers build a better world by delivering a new generation of pickups that set new benchmarks in capability, performance and efficiency." 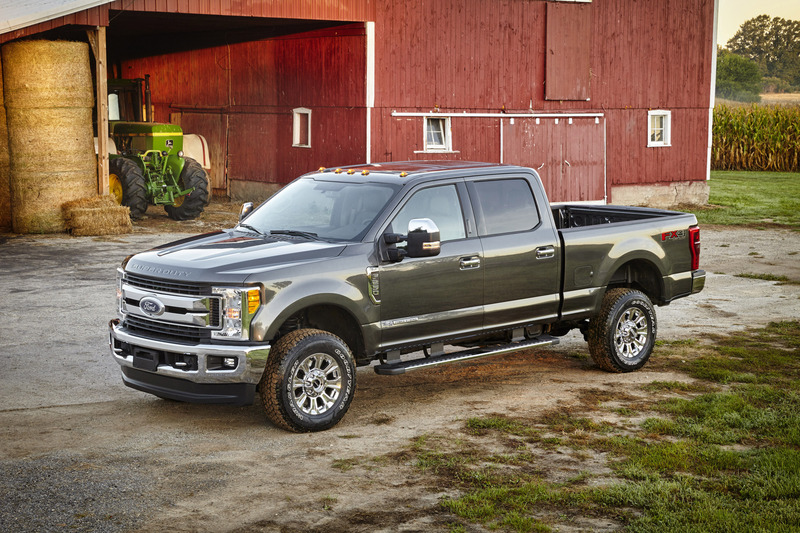 "While Super Duty is America's best-selling heavy-duty truck, we never take our leadership for granted," said Raj Nair, Ford group vice president, Global Product Development and chief technical officer. 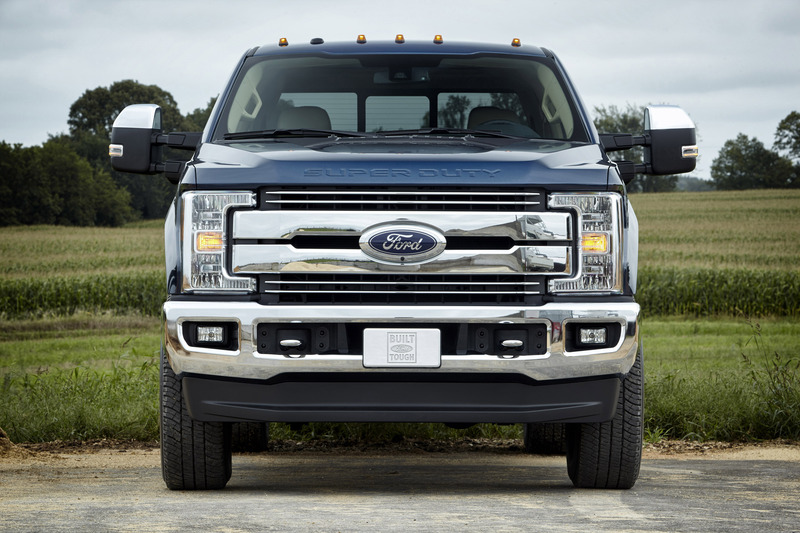 "Our team is using relentless innovation in materials, technology and Built Ford Tough engineering to deliver customers our best Super Duty yet." 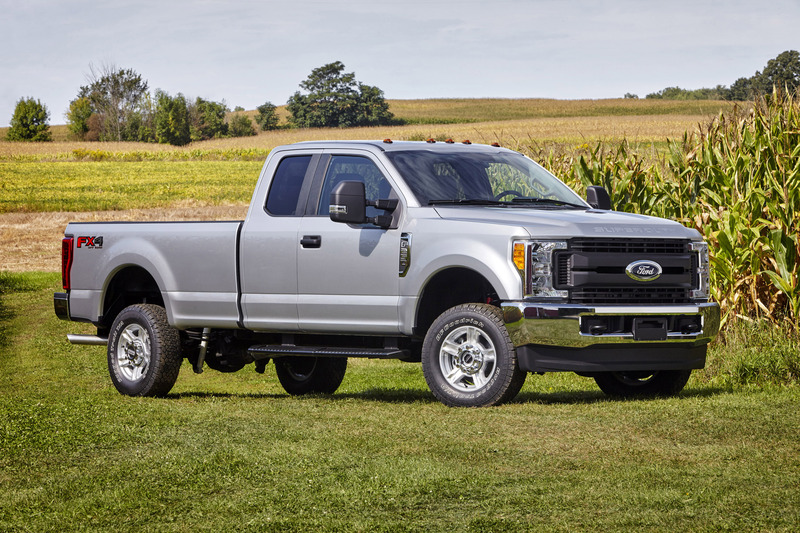 The backbone is an all-new, fully boxed frame comprised of more than 95 percent high-strength steel that offers up to 24 times stiffer than the previous frame - enabling the most towing and hauling capability ever delivered by Super Duty. 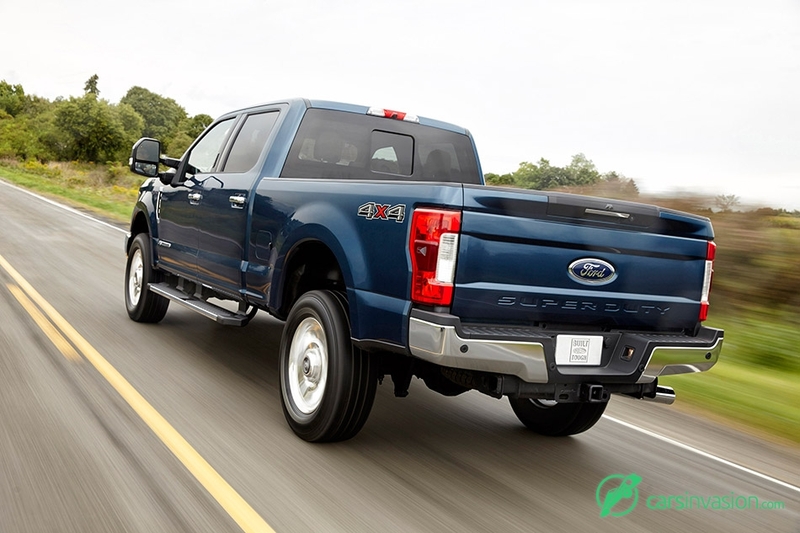 The new truck line features heavier-duty four-wheel-drive components, driveline, axles and towing hardware. 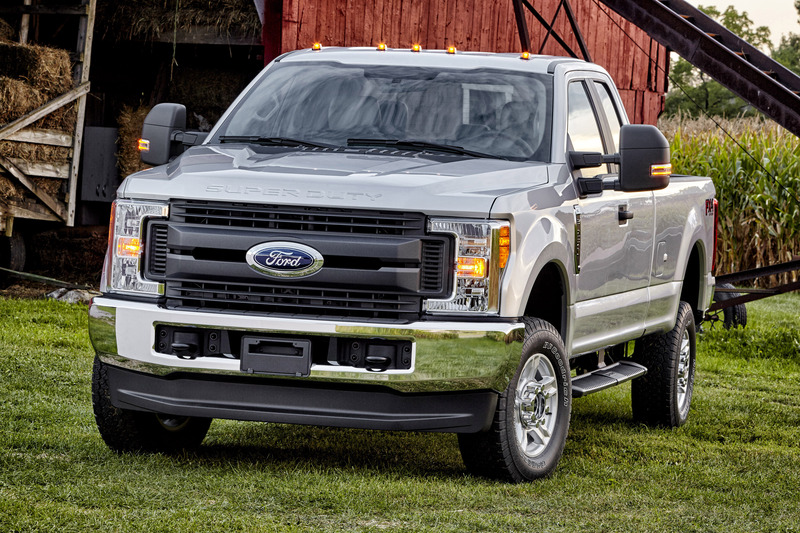 There are 16 segment-first new features - from LED lighting to adaptive cruise control - that assist Super Duty drivers to make driving and work situations easier and more comfortable. A center high-mounted stop lamp camera provides visibility into the cargo box, especially for easier hook-up of gooseneck/fifth-wheel trailers. 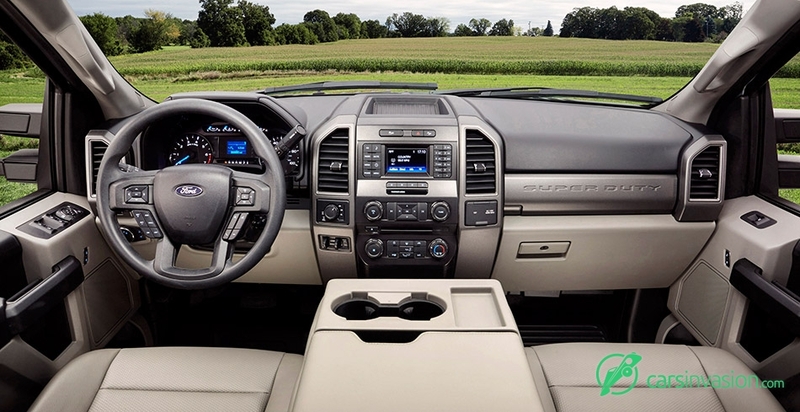 A 360-degree camera system uses four digital, high-definition cameras to give the driver a bird's-eye view surrounding Super Duty. Trailer reverse guidance provides visual cues and tips to help ease backing up a trailer. A first-ever, factory-available trailer camera can be attached to a trailer to improve visibility backing up. Adaptive steering provides for increased confidence to help make towing the heaviest of loads easier and brings greater ease to navigating job sites and parking lots - with or without a trailer. The technology reduces the amount of steering input needed to change direction at low speed, while reducing sensitivity to steering input at higher speeds. 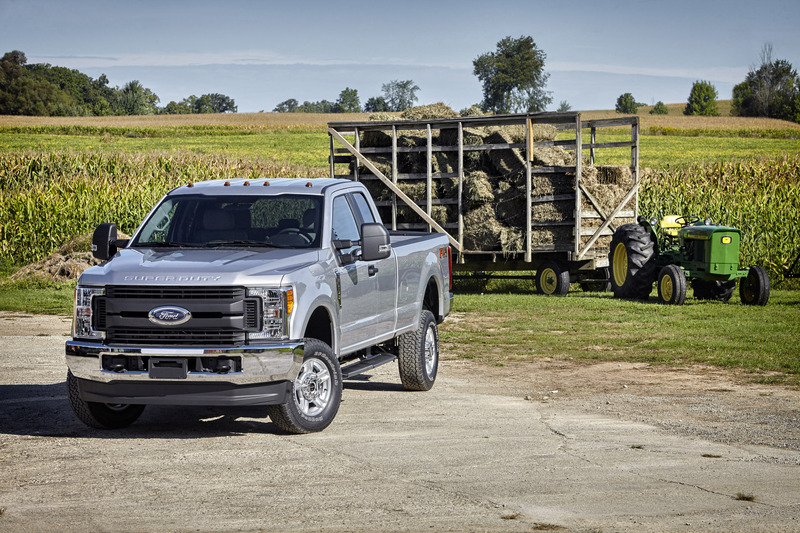 "As we remove weight, we're making Super Duty more productive by giving our customers better towing and payload capability," said Craig Schmatz, Super Duty chief engineer. 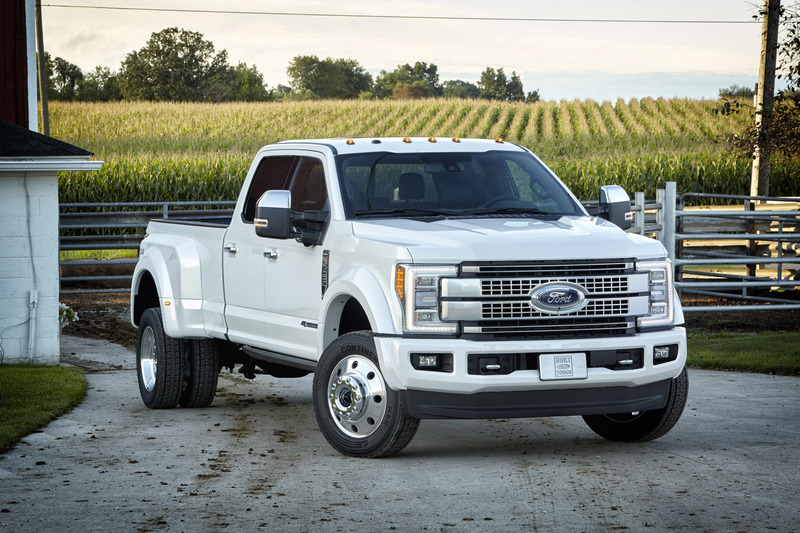 "We're backing up improved capability with a stronger gasoline and diesel Super Duty engine lineup." 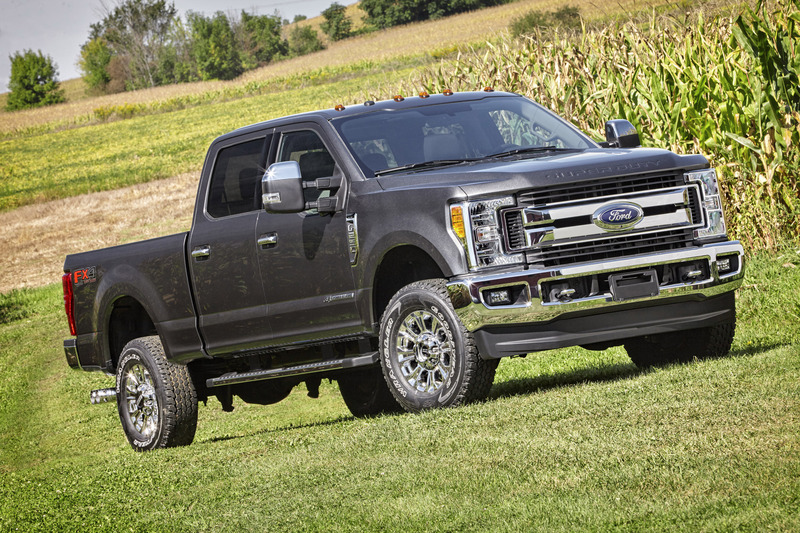 The 6.2-liter V8 gasoline engine comes equipped with the new TorqShift-G transmission for the F-250 pickup - allowing for improved capability. 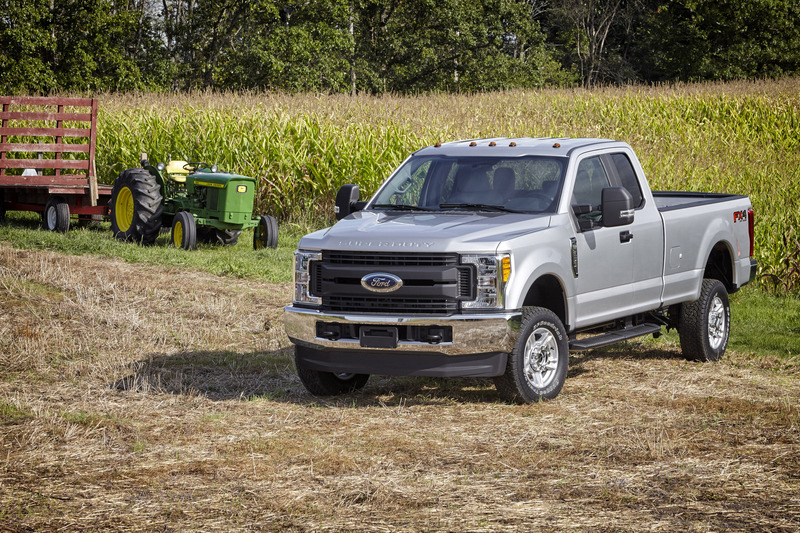 "The bottom line is Super Duty customers will be able to tow and haul more than ever before," said Schmatz. 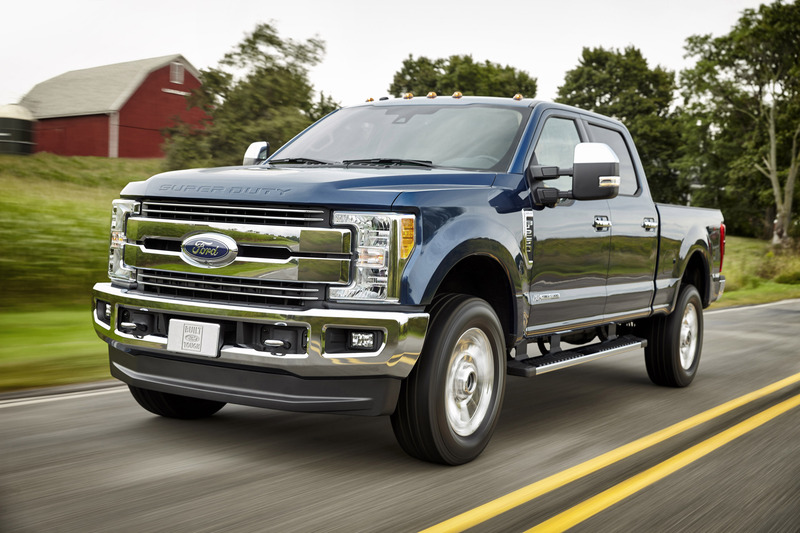 All three cabs - Regular Cab, SuperCab and Crew Cab - are longer and feature a new interior design, including dual compartment glove box, overhead console-mounted auxiliary switches to operate aftermarket equipment, and completely flat SuperCab and Crew Cab second-row floors that make loading large items in the cab easy. Vital controls are close at hand, with the integrated trailer brake controller switch located even closer to the driver. 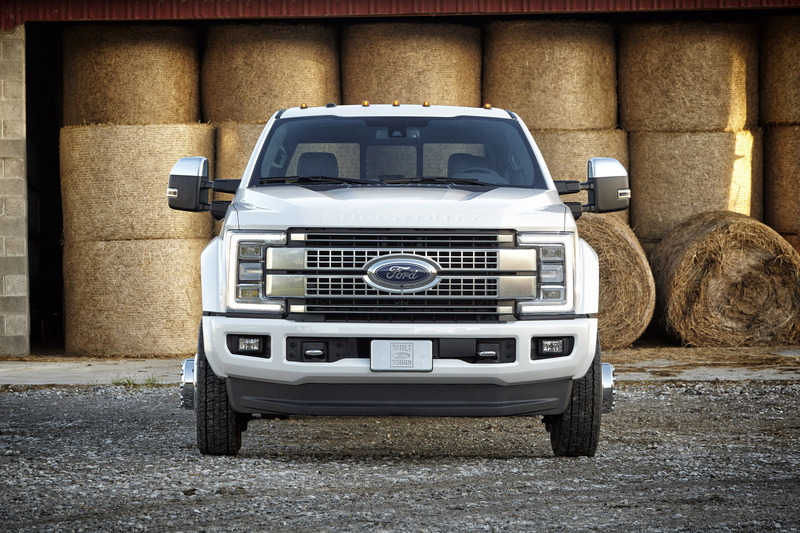 There are five models in the Super Duty lineup - XL, XLT, Lariat, King Ranch and Platinum. 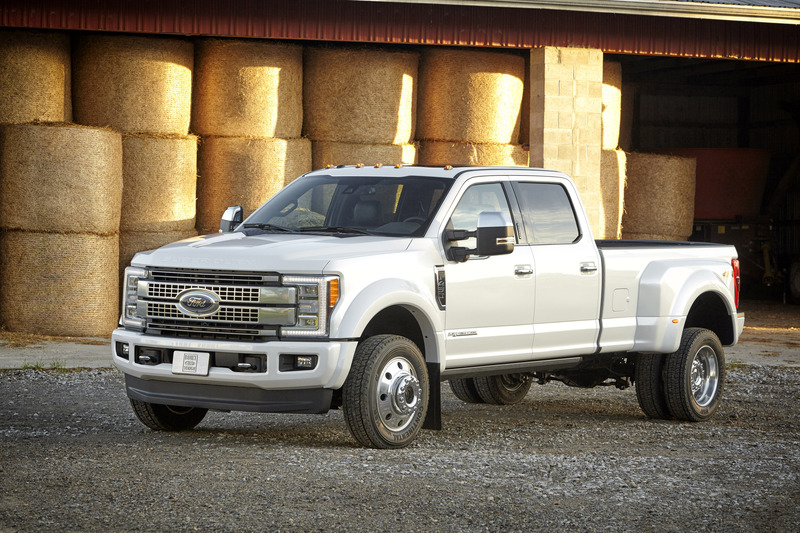 The all-new Super Duty will be built at Kentucky Truck Plant, and goes on sale in late 2016.